Our program has a tradition of excellence in medical education and provides an environment of active learning that fosters not only intellectual curiosity and collaboration, but also a commitment to teaching and patient care. The department has a rich history and world class facilities. The pass rate for first-time takers of American Board of Pathology examinations during the past five years is 100 percent. 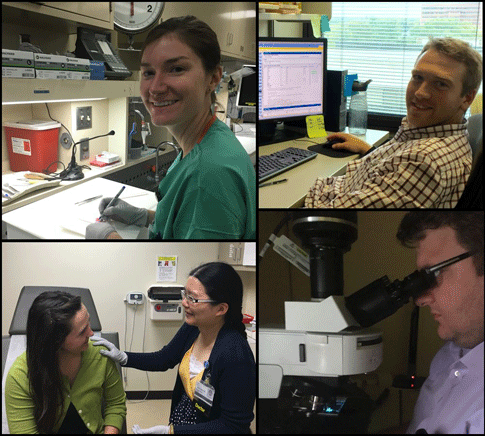 We offer a four-year ACGME-accredited program in Anatomic and Clinical Pathology as well as three-year programs in Anatomic Pathology or Clinical Pathology training. In addition we have a training pathway designed for physician-scientists (PSTP) which incorporates post-doctoral training after core residency training. Please take this opportunity to explore the rotations and other exciting possibilities that exist in pathology at the University of Iowa.